Two final year projects (FYP) by students from HKU Computer Science Department (HKUCS) received Gold Award at the 13th China Pan-Pearl Delta Region University IT Project Competition 2017 (泛珠三角+大學生計算機作品賽) held at the Hong Kong Science Park from July 3-5, 2017. 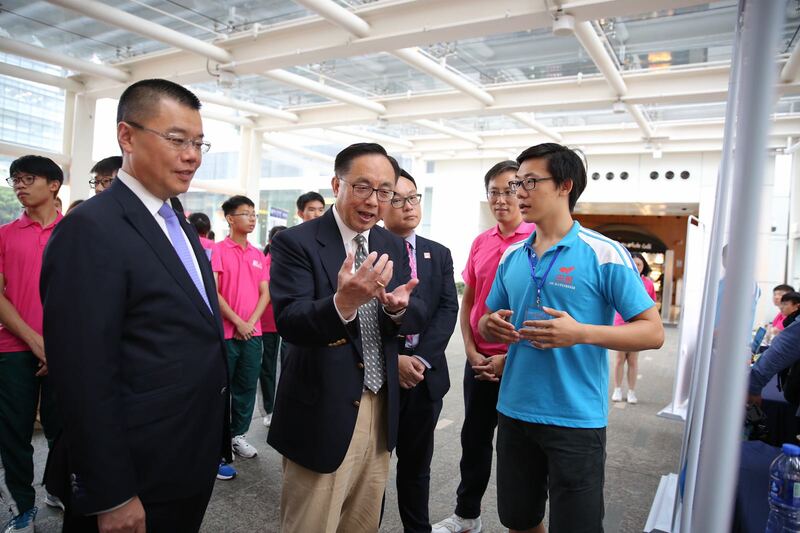 More than 100 teams from over 17 locations from China, Taiwan and Macau were here in Hong Kong to compete for the awards. 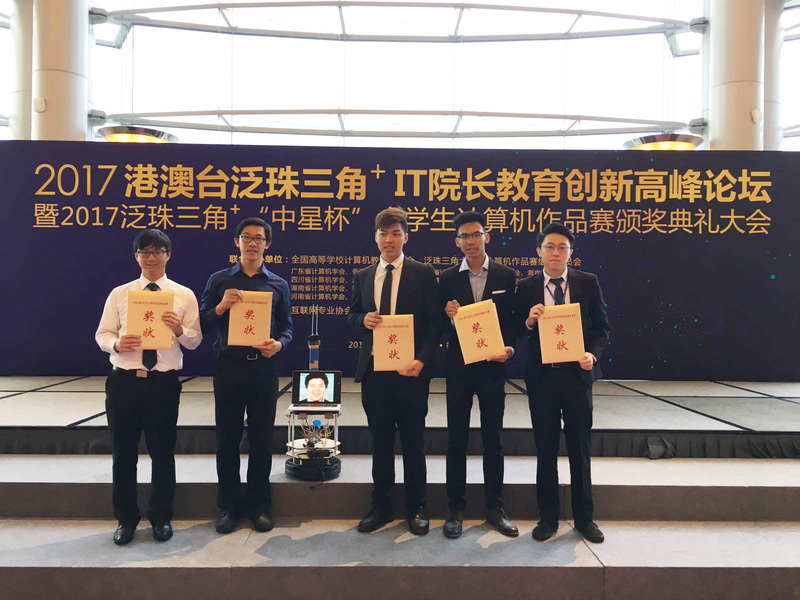 One of the winning project from HKUCS was titled "Deep-Learned Pedestrian Avoidance for Robot Navigation" by Cao Chao and Hu Shengjie, supervised by Professor Wenping Wang. The objective of this project was to build a robot that could navigate among human beings without collision. The other one was "HapHand: Sensor Controlled Robotic Hand with Haptic Feedback" by Law Chor Hon, supervised by Dr. Loretta Choi. This low-cost 3D printed robotic hand could mimic user hand gesture and provide haptic feedback at the same time, thereby enabling users to remote control the robotic hand with fine motor skills for handling far more complicated tasks. Congratulations to both teams for their achievements.